Do Proper Commercial HVAC Service And Maintenance Help Contribute to Energy Savings? Despite the fact that it is far better to schedule maintenance tasks using predictive, planned tools, most facility managers continue to spend the bulk of their time operating reactively. The most common reason for this approach is a lack of resources available to managers. This reactive approach is especially problematic when it comes to commercial HVAC service, given the central role that HVAC systems play in today’s commercial buildings. In a typical commercial building, the HVAC system is responsible for over 40% of annual energy usage. It’s clear that keeping HVAC systems running at peak efficiency should be the first step in managing a building’s energy use. 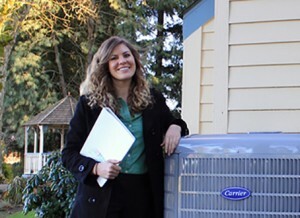 The importance of regular commercial HVAC service goes beyond reducing energy costs. Many facilities today depend on a properly operating HVAC system for more than just comfort. For example, telecommunication systems usually have very specific temperature requirements in order to operate properly. Temperature or humidity levels that fall outside this range can cause an interruption in service or even a costly system failure. Sometimes the difference between a business’ success and failure is nothing more than having proper commercial HVAC service. In spite of the importance of commercial HVAC service, most organizations tend to underfund maintenance. Proactive maintenance remains the exception, not the norm. Lack of resources is the most commonly cited reason for not performing preventative maintenance on HVAC equipment. Budget managers often think of maintenance is an overhead cost, and take steps to reduce it like other overhead costs. However, proper commercial HVAC service can do a lot to reduce long-term costs. Viewing maintenance is nothing more than an overhead cost means that you might not have the resources available in the budget to carry out proactive maintenance. It’s especially easy to have this view towards commercial HVAC service. Unlike visible items like lighting or carpet, most HVAC systems are out of sight, out of mind, at least until something goes wrong. And when it does go wrong, it is already too late for efficient, proactive maintenance. At that point, maintenance becomes reactive. Reactive maintenance is the most costly way to carry out commercial HVAC service. Organizations that implement predictive maintenance programs show drastic reductions in maintenance costs. And when you include all the other downstream effects of the new maintenance programs, such as reduced energy use, extended equipment life, less frequent system downtime, and fewer interruptions to building operations, total costs can be cut in half compared to organizations that operate reactively. While it easy to blame budget makers for these sorts of corporate policies, facility executives have the opportunity to demonstrate that greater expenditures on maintenance result in lower overall costs. Simple saying that money is needed to overhaul or replace a chiller is not sufficient. Managers need to demonstrate what the real cost of neglecting maintenance is while showing the cost savings associated with predictive, proactive maintenance programs. Demonstrating that money spent on commercial HVAC service will improve the company’s bottom line will go a long way in getting you the funds you need. Facilities with proper commercial HVAC service have been shown to use at least 20% less energy than those where systems are allowed to deteriorate until maintenance becomes the only option. For an example, consider the workings of a central building chiller, typically the largest single user of electricity in a building. To keep them operating at peak efficiency, there are maintenance tasks that need to be performed daily, weekly, monthly, and annually. When these tasks are omitted, efficiency decreases, and energy use and costs spike. You can work with the manufacturer of the chiller or another service company to develop an operating efficiency curve for the chiller, and a similar curve for what the efficiency of the chiller would be if maintenance were carried at the proper intervals. The difference between these two curves can be translated into energy and costs savings.